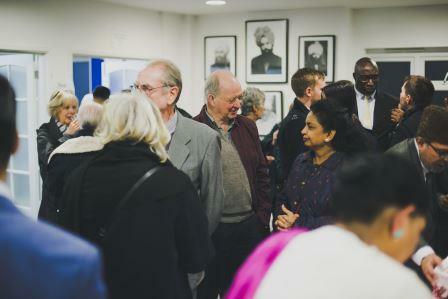 MP John McDonnell was one of 170 people to attend a dinner aiming to unite all communities against extremism on Saturday (January 30) in Hillingdon .Organised by the Ahmadiyya Muslim Association (AMA) and hosted at the Baitul Amn Mosque the event was part of the nationwide campaign ‘United Against Extremism’ . 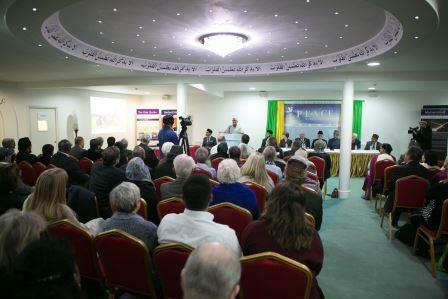 Keynote speaker was Imam Ata Ul Mujeeb Rashid, vice president of the AMA, who discussed the true meaning of Islam.While John McDonnell MP discussed how ah madis are always at the forefront of any problem that arises not only nationally but also at a local level, with one example being the leaflet distribution programme on Islam’s response to extremism.The evening was concluded with a question and answer session discussing nuclear equipment, why Muslim women wear hijab and the role of women in Islam, to name a few. For more information on Unite Against Extremism, visit the campaign website. Share the post "Christians, Jews and Muslims unite against Extremism"